RIA "New day": "the Discussion around the implementation of the project for the construction of ten kilometers from Chelyabinsk Tominsk GOK (founder of Russian copper company) has revealed the imperfection of the legislation. This was stated by the head of Rosprirodnadzor in the Chelyabinsk region Vitaly chicken Coops. "I have made quite a number of conclusions and suggestions we accumulate and pass to the Central office of the service," said the official. The discussion of the construction of the Tominsk GOK on the site of the Public chamber of the Chelyabinsk region Mr. Coops the most optimal format, expressing hope that it will continue. "To Goku's attitude is cautious, – declared the official. – Our position is, of course, is largely formal. We have this problem. But we do not go exclusively to the formalism, therefore, participate in these discussions. We believe that this issue should be as open as possible and, in principle, such projects must be implemented in the form that was eventually tortured in Chelyabinsk. Here, as it raises concerns among the population, legitimate concerns, they need to be removed, they should be discussed. In this way we need to talk about the possibility of managing a particular organization in a particular territory. There is a principle of ecological danger. And it concerns not only the evaluation official, but, first and foremost, the population which might be affected by this production." At the same time Vitali chicken Coops seemed not to have noticed that work on the site where construction is planned Tominsk GOK continues. And no amount of "discussion" in the public chamber does not have any influence. In addition, the last (third) meeting of the working group on the issue of the Tominsk GOK took place on the 9th Feb – 3 months ago. 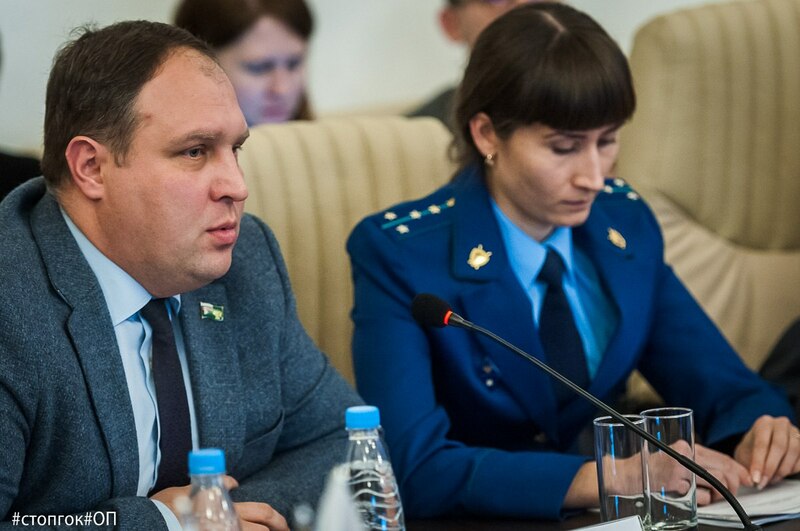 Although at the first installation meeting the Chairman of the Public chamber of the Chelyabinsk region Oleg Dubrovin assured that the gathering on the issue, the experts will be once in three weeks. The opponents of the construction of the Tominsk GOK has twice applied to the chamber with a request to host the fourth meeting of the working group: February 28 letter sent to the member of coordination Council of movement "Stopgo" Vasily Moskovets, and on 9 April, the representative of the Ecological and Patriotic movements of Russia Oleg Boutiques made a similar request in a telephone conversation with Oleg Dubrovin. Answer to my letter Vasily Moskovets has not received so far. Oleg Magazova asked the main "public-spirited" region "to duplicate the proposal for the round table". When will this "table" and will be there at all, is not known. Environmental activists are sure that the topic Tominsk GOK ceased to be of interest to the Public chamber of the Chelyabinsk region immediately after the election of the President of Russia, held in March of this year."